The actor revealed in a recent interview that he will be co-producing Hollywood films soon and the talks are on. Actor-Director Dhanush is a busy man these with handful of projects under his belt that he is working on. Dhanush now has VIP 2 slated to be released in August which is being produced by the actor himself. 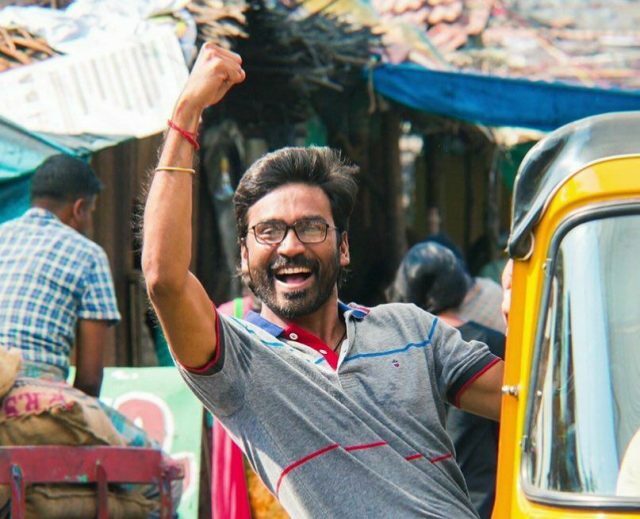 Interestingly, the story and the screenplay of VIP 2 too are written by Dhanush himself. Featuring Bollywood actress Kajol, VIP 2 is a sequel to his 2014 release Vellai Illa Pattadhari which had Dhanush play the role of a job-less engineering graduate Raghuvaran. Dhanush also has the credit of directing a film Power Paandi which turned out to be an enormous success. And now, Dhanush is also making his debut in Hollywood with The Extraordinary Journey of The Fakir for which he recently wrapped up the shoot. The actor also now aims at producing films in Hollywood, said during a recent interview. Speaking to a leading daily, Dhanush himself confirmed that he is in talks at the present stage and soon he might produce a Hollywood film. “I will be co-producing Hollywood films very soon. Talks are on. We are discussing a few scripts and collaborations but it’s at a very early stage right now,” said Dhanush. Dhanush also said that this is the right time to venture in to Hollywood for production. “The world is shrinking and everyone is majorly interested in Indian films now. They are watching our films, they are hiring Indian stars and they like our song-and-dance format. If you notice they are even adapting them in their films. It’s a very healthy change and I think it’s the best time for me to do something like this,” added Dhanush. Please don’t waste your time and money. You don’t have persona of a star in south leave alone bollywood and completely ignore hollywood. they will take you in a role of a sweeper.